New York New Jersey Chicago Engineers has worked with a variety of retail spaces to provide MEP/FP support for renovation, expansion, and new construction projects to individual stores as well as multi-store shopping centers. 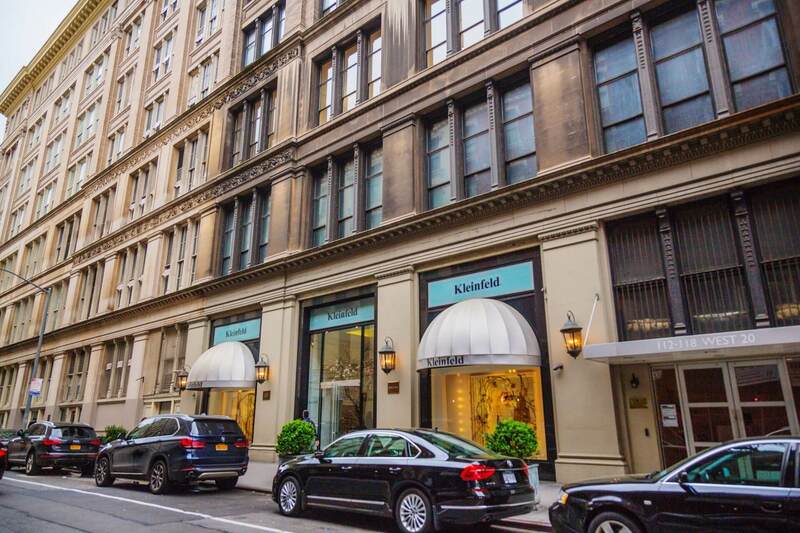 In the sixty-plus years since its opening, Kleinfeld has become known as the bridal mecca of New York City due to its extensive designer gown inventory and intimate service, attracting brides from all over the world. Santander Bank is one of the country's top retail banks, serving over 100 million customers extending to the United Kingdom, Latin America, Europe, and the northeast area of North America. Uniqlo is a Japanese clothing brand that values simplicity, quality and longevity. Their products are designed to be of the time and for the time. 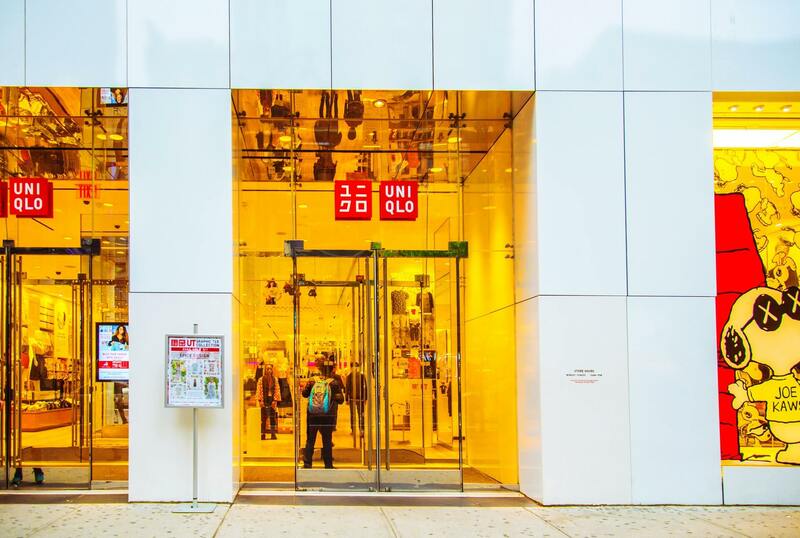 Uniqlo is grwoing business, and looks to expand to having a store in each U.S. major city by 2020. Parx Casino is the #1 casino in Pennsylvania, offering gaming, entertainment, and exceptional amenities. Premises feature 200,000 square feet of gaming, 3,500 slot machines, 130 table games, and a premier poker room consisting of 80 poker tables. 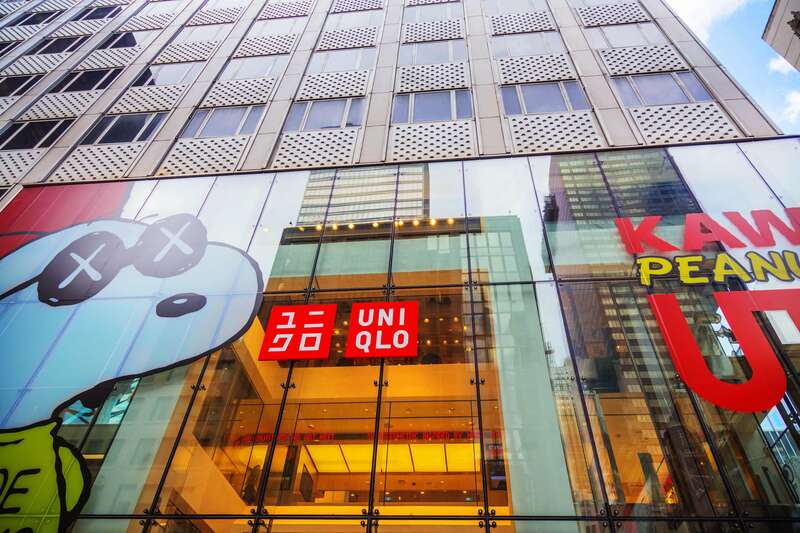 A renovation was performed at Uniqlo’s 85,000 ft2 Flagship store. Being the largest retail location located on 5th Avenue and the largest Uniqlo in the world, it features one of the largest variable refrigerant volume system installations in the United States and the largest in New York City. White Box - 38-40 Grand St. The Bronx Zoo is a zoo located in the Bronx, a borough of New York City, within Bronx Park. It is the largest metropolitan zoo in the United States and among the largest in the world. Amongst the elite of New York’s high end 5th Avenue shopping is the Tommy Hilfiger Flagship store. The 22,000 ft2 location opened in 2010 as the largest Tommy Hilfiger location in the world and is decorated with limestone façade, sweeping staircases and crystal chandeliers. One of New York City’s most famous shopping landmarks, Sak’s Fifth Avenue, began in 1924 when two Herald Square shop owners, Horace Saks and Bernard Gimbel, decided to merge their assets and open a department store that would be symbolic of high fashion and gracious living. In the space of what was once occupied by Ethan Allen is now the future home of Ocean Pearl Wine and Spa Bar, an eco-conscious spa, designed for men and women alike. Holding its commitment to reduce reuse and recycle, the spa uses only marine based, holistic, organic skincare treatments for its clients in order to fully ensure the well being of its guests as well as the planet. Regarded as a “Lingerie Mecca” by celebrities Tim Gunn and Bethenny Frankel, “Linda the Bra Lady” is a lingerie boutique that emphasizes the uniqueness in the needs and the form of each customer on an individual basis. With more than 250 sizes to offer, the boutique is a popular spot for many. Massage Envy is a chain of spas with over 900 locations nationwide. They offer a variety of massage and skincare services in a quiet, customer-centric atmosphere. Diamond Supply Co is Created by Nick Diamond in his one-bedroom apartment in San Francisco, Diamond Supply Co. was founded in 1998 and two years later, Nick moved to Los Angeles to begin building the company in Mike Carroll and Rick Howard’s legendary Girl Skateboards distribution house. Smack Mellon is a nonprofit arts organization located in Dumbo, Brooklyn. Smack Mellon's mission is to nurture and support emerging, under-recognized mid-career and women artists in the creation and exhibition of new work, by providing exhibition opportunities, studio workspace, and access to equipment and technical assistance for the realization of ambitious projects. The Richard Rodgers Theatre is a Broadway theater located at 226 West 46th Street, between Broadway and 8th Avenue, in New York City. The New York Hall of Science (NYSCI) is one of the nation’s leading science and technology centers. Its mission is to bring the excitement and understanding of science, technology, engineering and mathematics to children, families, teachers and others by galvanizing their curiosity and offering them creative, participatory ways to learn. Momo Laser Hair Removal NY is an accomplished New York City laser hair removal specialist. New York City’s Premier Laser Hair Removal Center. Massage Envy - Gramercy NYC, one of the better day spas in New York. It is very popular and highly rated. One of the TOP 50 bridal salons in the country, Wedding Atelier offers gorgeous, hand-selected couture wedding dresses and generous personal attention in our lovely private space located on Madison Avenue (between 27th and 28th Streets) in New York City. Lake Isle is a town owned recreational facility situated on White Plains Road in the heart of Eastchester. The Town purchased the 116 acre former private club site in 1979. Ethan Allen, the famously American furniture maker and retailer. One-Stop Redecorating, From Design to Finishing Touch. The lobby of this luxurious, five-level theatre has been built inside the shell of the old Empire Theatre. In order to build the massive multi-screen complex, the Empire Theatre was lifted up and moved down the street to its present location. 114 W 125 St is a commercial located at 114 W 125 St, New York, NY 10027, in the area is commonly known as Harlem. Built in 1910, this low rise building is 2 stories tall and contains 1 apartments. It is owned by Fdb Acquisition Llc. The Shops at Georgetown Park is comprised of a shopping mall and condominium complex located in the Georgetown district of Washington, DC. The first phase of the project was complete in 1980 and was said to have been the most complicated construction job on the East Coast. The Boys' Club of New York is one of the oldest, charitable institutions in New York. Founded in 1876, it administers the R.E.A.D. Program, which is designed to foster and encourage appropriate habits and patterns relative to the acquisition of basic and advanced reading skills. Greene Naftali is a contemporary art gallery in Chelsea representing artists. Retail Renovation and Expansion Planned At 399 Knickerbocker Avenue. The structure will be expanded and transformed into a 42,500 square-foot commercial building, featuring six retail units — three on the ground floor, followed by two on the second floor and one on the third. Asian grocery store chain supplying imported packaged foods & housewares plus ready-to-serve meals. 203 Bedford Avenue is a Townhouse located in the Williamsburg neighborhood in Brooklyn, NY. 203 Bedford Avenue was built in 1899 and has 3 stories and 3 units. 1320 Zerega Avenue is a Property located in the Westchester Village neighborhood in Bronx, NY. 1320 Zerega Avenue was built in 1950 and has 1 story and 1 unit. Long-standing department store chain featuring designer clothing, accessories, cosmetics & more. Parx Casino and Racing is a horse racing venue and the largest casino gaming complex in Pennsylvania. Owned and operated by Greenwood Gaming and Entertainment, Inc., Parx features 24-hour gaming: 3,500 slot machines, 140 live table games, a poker room with 60 poker tables, live racing and simulcast action, and several dining options and bars. 114 West 125th Street is a Building located in the South Harlem neighborhood in Manhattan, NY. 114 West 125th Street was built in 1910 and has 2 stories and 1 unit. 573 Sackett Street is a Property located in the Gowanus neighborhood in Brooklyn, NY. 573 Sackett Street was built in 1931 and has 3 stories and 0 units.